PennsylvAsia: AEON (株式会社イーオン) in-person interviews in Pittsburgh for teaching positions in Japan, March 24. 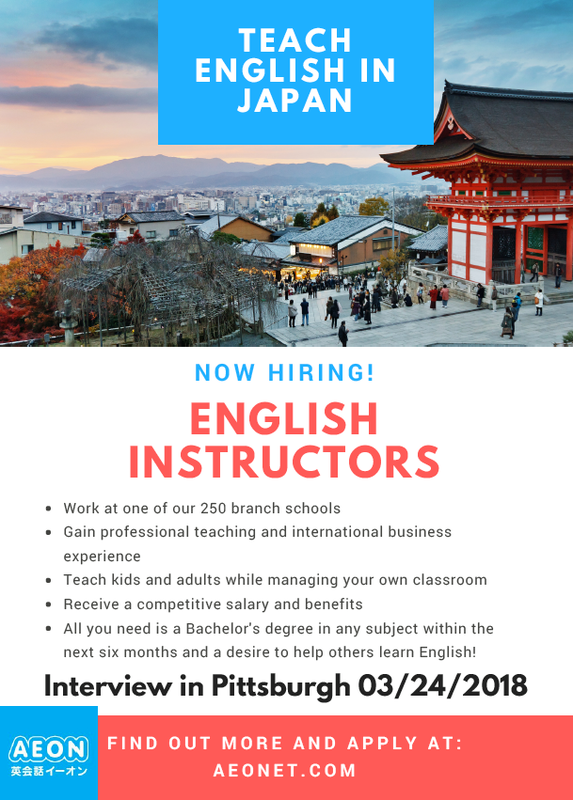 AEON (株式会社イーオン) in-person interviews in Pittsburgh for teaching positions in Japan, March 24. AEON (株式会社イーオン), a large chain of English schools in Japan, is holding in-person interviews for prospective teachers throughout the United States this spring, and will be interviewing in Pittsburgh on March 24. Those interested should submit applications online by early March.